Home BUSINESS MTAANI NEWS Hawkers play cat and mouse as county askaris clear them off the streets. Hawkers play cat and mouse as county askaris clear them off the streets. 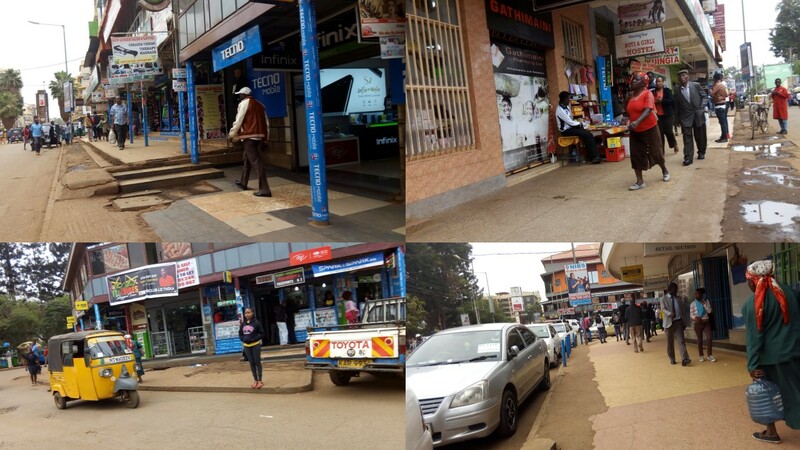 Clear streets and pavements after county askaris rid street vendors of the CBD this week. There has been hue and cry over the inconvenience they have been causing residents and other traders since last year. At last, the County Government of Kiambu seems to have woken up from a rather deep slumber on the vexed issue of hawkers. For the last two days, Thika town has been a circus as they endeavoured to clear hawkers who had for the last six months invaded the streets. The cat and mouse games all over town especially in the evenings may have been fun to watch but the sight of women sprinting with kids on their backs may not be the best for any sensible citizen. County government askaris spent the whole day Monday and Tuesday chasing these street vendors and forcing them to run helter-skelter in all directions while clinging onto their wares. For the unsuspecting passersby, the sudden frantic movements got them very scared with some seen taking cover, unsure of what was going on. It is after the dust had settled that they realised that the stampede was hawkers fleeing from county askaris. At one moment, some of these hawkers attempted to demonstrate along Kenyatta Highway near the stadium roundabout to in solidarity with some of their colleagues whose wares had been confiscated by these askaris. However, their attempts were thwarted as the security officers came into the aid of the ‘kanjus’. For some people, the hawkers are often been regarded as public nuisance, accusing them of depriving pedestrians of their space, causing traffic jams and having links with anti-social activities. The situation has been out of control in the CBD with the vendors have encroaching on streets and footpaths, hardly leaving any space for pedestrians. They have been displaying their goods just about anywhere, either on sacks spread out on the ground, or on makeshift carton stands, making it hard for pedestrians to navigate their way on the streets. “It has been 6 months of hell with these people jamming the streets. We don’t blame them for that but they were in most cases very inconsiderate of other people’s welfare,” said one resident we talked to. It started like a joke with one hawker setting up a temporary sales point outside a building and before long, they were joined by several others, effectively creating an open-air market that often fledged illegal markets that operated in areas with high human traffic such as transport nodes, bus stops, prominent street corners, alleys and roads, with shop fronts on roads such as Commercial Street, Uhuru Street and Kenyatta Highway bearing the brunt of the invasion. Traders doing business in shops and stalls within the town’s CBD were most hit by this invasion as the street vendors virtually blocked their shops with their wares, pushing them out of business. People with class specifically don’t like hawkers yet it’s these people that have deep pockets. Wealthy and upper middle class people prefer shopping at secure stores where they can whip out their purses without attracting attention. However, we must admit that hawking has been a profession in Kenya since time immemorial, with street vendors an integral part of our urban history and culture. 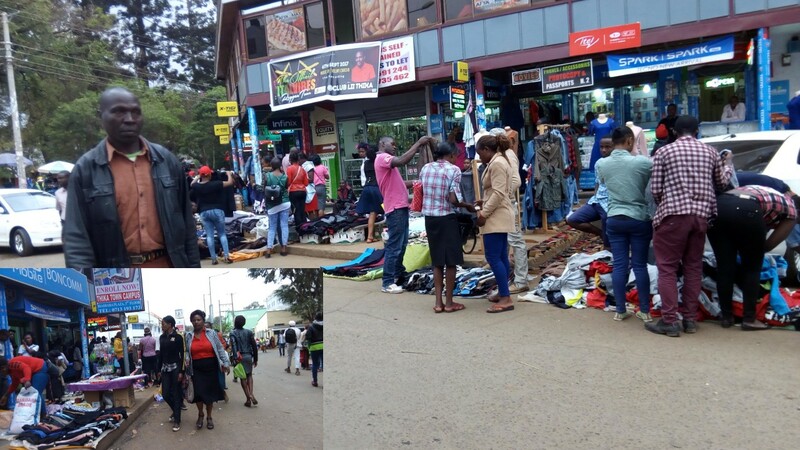 Street hawking in Kenya is now a thriving business located mostly in areas where the vendors are visible to the customers they intend to attract with their cheap products, which tend to be counterfeits of the brands sold in retail shops around the city. The hawkers sell a wide variety of items including clothes, shoes, cosmetics, mobile phone accessories, foods such as fruits and vegetables, and even toys. The situation previously when hawkers had invaded almost every space in town, leaving pedestrians with virtually no space to maneuver through town. Hawking is seen as an easy place to start for anyone since it requires few skills, little experience, basic academic knowledge and little capital, yet it earns good returns. The huge number of people on the streets, coupled with easy access to their products — which are cheaper than those sold in shops — makes people prefer buying from them, thereby encouraging the business. Political undertones, corrupt county askaris and light penalties have made it nearly impossible to rid the town of hawkers. Since late last year, the menace has worsened since politicians were faced with the tough choice between enforcing the law and losing votes, or turning a blind eye to the hawkers with the hope of reaping from that generosity on election day. The General Election could guaranteed the hawkers some freedom to operate without fear of being harassed by the notorious county askaris.